We are a group of local people with no previous campaign experience who believe in Milton Keynes and the CMK Business Neighbourhood Plan. 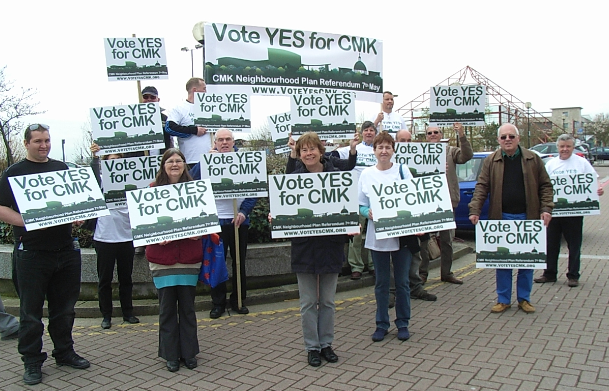 We’ve registered the ‘CMK Yes Group’ as a campaign with the elections office at Milton Keynes Council. The campaign ‘agent’ is T J Skelton of 40A Colesbourne Drive, Downhead Park, Milton Keynes.